Free high resolution photo of a wilted long stemmed rose on the ground. 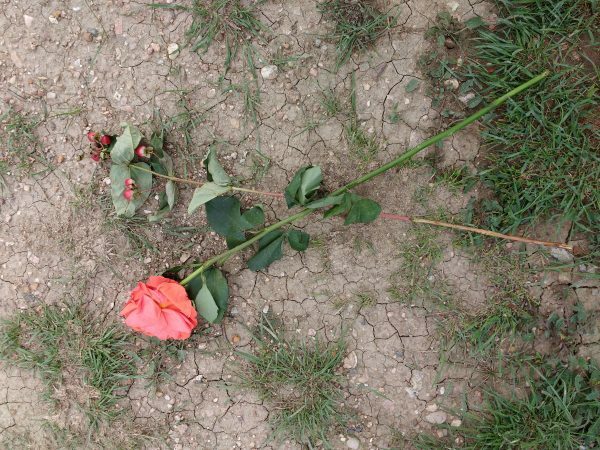 This picture shows a red rose that is wilted and lying on the ground. There’s also a sprig of what looks to be rosebuds lying next to it. Not sure if these were the remains of some sort of marriage proposal gone wrong or maybe a memorial of sorts? In any case, they looked sad discarded on the ground. Free image for any use.